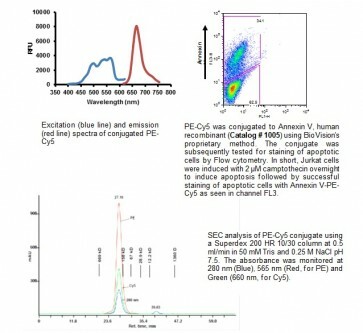 PE-Cy5 (Phycoerythrin-Cy5 Conjugate) | 7850 | BioVision, Inc.
A tandem FRET conjugate dye which can be used for cross linking PE-Cy5 with target proteins or antibodies for subsequent western blotting, ELISA, immunohistochemistry, immunofluorescence and FACS analysis. 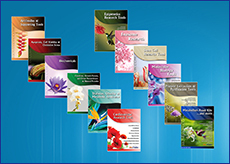 SOURCE: R-PE is a phycobiliprotein purified from red algae and custom conjugated with Cy5 by a proprietary method. FORMULATION: Provided as a 1 mg/ml solution in PBS, pH 7.4. MOL. WEIGHT: ~250 kDa. 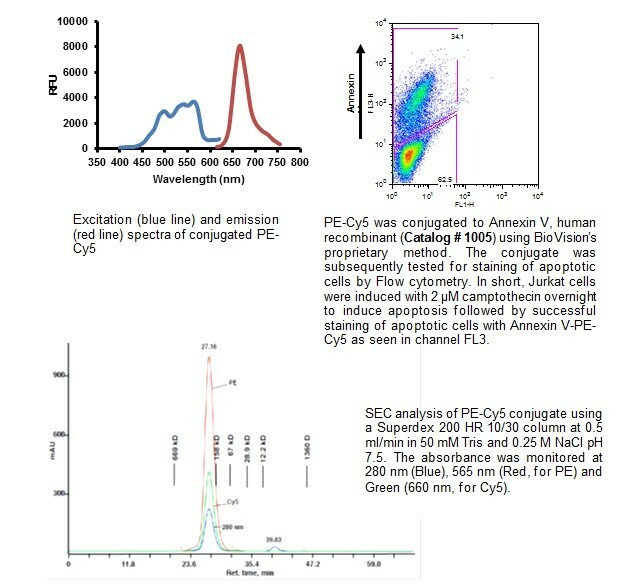 BioVision’s PE-Cy5 is a tandem FRET conjugate dye, combining R-PE (240 kDa) and a cyanine dye (Cy5). The PE can be excited at 488 nm and functions as an efficient energy donor for the Cy5 which acts as an energy acceptor. Fluorescence emission maximum of the conjugate is around 670 nm. PE-Cy5 can be used with any flow cytometers equipped with a 488 nm laser and can be detected in FL3 channel.